VAUGHAN, Miss. — When Antroine Anderson started kindergarten in this close-knit rural town last August, he knew just three words by sight. He mistook H for G, confused L and I and identified M as F.
In Antroine’s school district, one out of every 10 students had to repeat kindergarten last year. 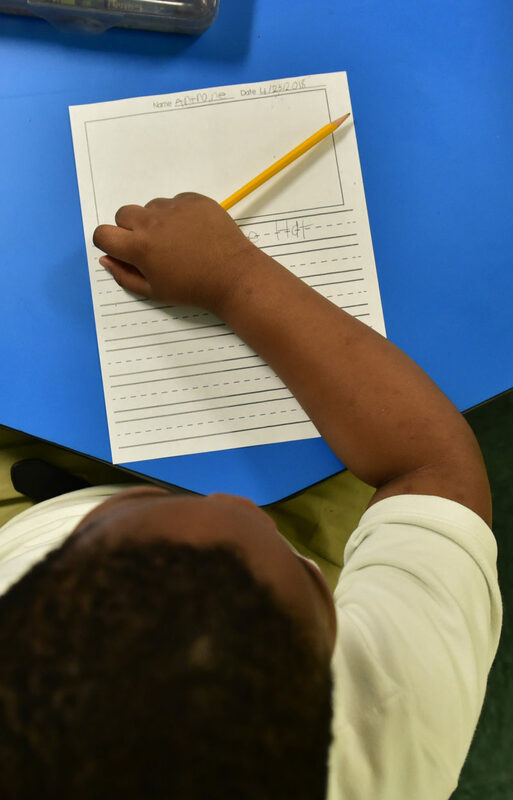 Kindergarteners here scored an average of 461 on the state’s readiness exam in fall 2018, some 69 points below where Mississippi wants them to be. 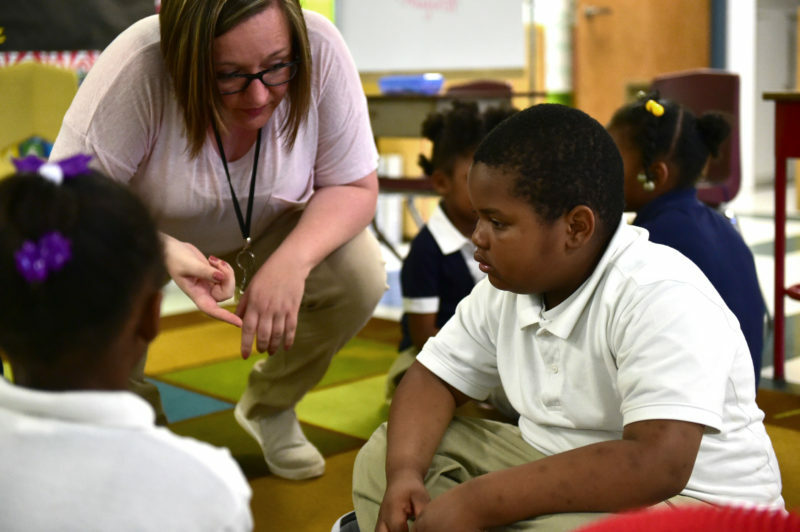 Statewide, nearly two-thirds of kindergartners attending Mississippi’s public schools were unable to demonstrate knowledge of basics such as early letter and number recognition, and fell below the state’s target score for academic readiness last year. It’s a worrying indication that they are starting behind — a troubling trend in a state where students have some of the lowest reading scores in the country by fourth grade. Poverty, underfunding and longtime segregation patterns only partially explain why many of Mississippi’s children lag behind. 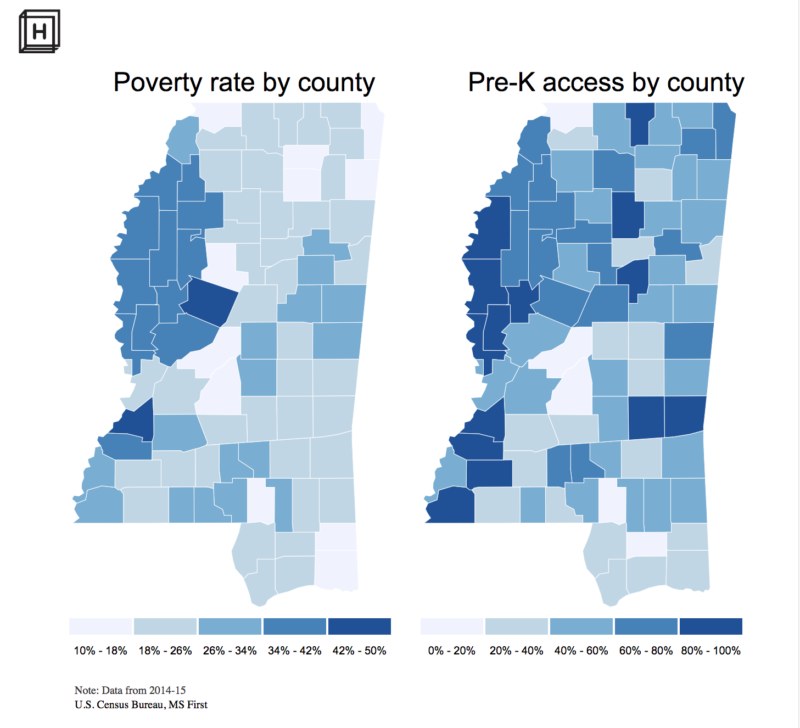 Yet data compiled by the Mississippi Department of Education reveal a potential solution: Children who attend pre-K programs are more likely to start school with critical early literacy skills than those who do not, an idea that jibes with a growing body of research showing the benefits of high quality pre-K — especially for children in poverty. Yet Mississippi, which has the third highest rate of childhood poverty in the U.S., has limited free opportunities for early education. Until recently, Mississippi remained the only state in the South without publicly funded pre-K; the programs that are offered reach only a fraction of the state’s preschoolers. Last year, the state’s fledgling pre-K program served just 3 percent of eligible 4-year-olds, according to a report released by the National Institute for Early Education Research at Rutgers University. 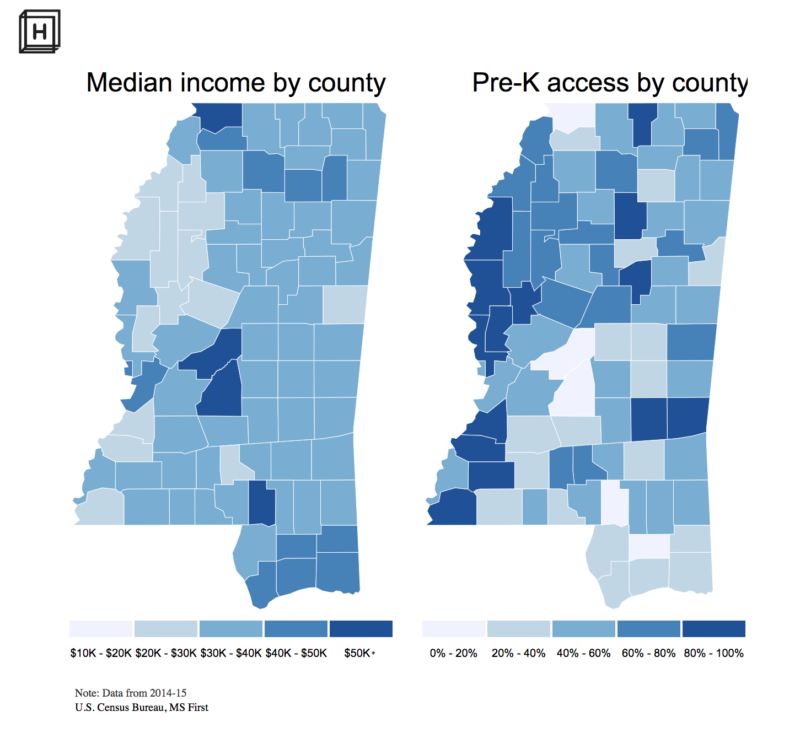 Access to public pre-K in Mississippi is severely limited; apart from federally funded Head Start programs, there are few options for most children. Less than one in five of Mississippi’s 4-year-olds are enrolled in free state and district-funded programs. The average income in the area around Vaughan is only about $28,000 annually. The city doesn’t offer state-funded pre-K, although there is a free Head Start program at Linwood Elementary School, where Antroine attended kindergarten. The year Antroine started school, more than half of his class came from that Head Start program, while the rest had attended local child care centers or were kept home like Antroine. That puts kindergarten teacher April Ketchum, who has been at Linwood for six years, under enormous pressure to simultaneously help students catch up and keep them from falling behind and having to repeat a grade. Last year, Mississippi lawmakers agreed to increase funding for pre-K by $2.5 million and added some additional 1,000 slots for the upcoming fall, but even with the extra money, Mississippi still spends far less than neighboring states, and short of what is needed. That scenario becomes harder in cash-strapped Mississippi school districts that lack resources needed to make such growth happen. As Austin points out, coming to the starting line late puts a child at risk of being left behind. On a humid spring morning, Antroine, whose brown arms have faded mosquito bites and rough patches of skin from playing outside, blended seamlessly with classmates at his assigned table, silently mouthing words from a picture book as he waited for school to start at Linwood Elementary. Inside the large classroom with neon green and teal walls, a review lesson got underway. That’s when academic gaps became evident. Standing in his designated blue square on a multi-colored rug, Antroine seemed unsure as teacher Ketchum led the class through a rhyming game. “Heel, eel,” called out Ketchum. “That rhymes, that rhymes,” the group responded, swaying from side to side. Antroine didn’t recognize “the,” one of the most common sight words, but managed to tell Ketchum he saw a “T,” on the paper she showed him. When Ketchum asked him questions during a classroom discussion about Dr. Seuss’ The Lorax, he froze. Antroine was also reluctant to discuss the story with a classmate. Ketchum had her hands full all fall. State test scores released in November indicated that most of Linwood’s kindergarteners were behind, still working to master skills like recognizing letters of the alphabet, along with their corresponding sounds. As their teacher, Ketchum feels pressure to make sure they catch up to state standards. “Kids come in scoring at the 300s and we still have to grow them,” she said, referring to scores in the bottom range of the state’s kindergarten-readiness test. “They want them up here,” she said gesturing with her hand. Ketchum has learned to focus on her students’ strengths to boost their confidence. But some are discouraged when they don’t catch on quickly. A few years ago, Ketchum pushed for a breakthrough with a young boy who wanted to give up. In response, she wrote down “I can’t” on a sheet of paper and drew an X over the phrase. Ketchum’s students face more challenging expectations than previous generations, in part due to new standards Mississippi adopted in 2010, which spell out more demanding benchmarks for each grade. The first lessons kindergarteners learn in Ketchum’s class, however, come from a pre-K curriculum provided by a state-funded reading coach. It comes in handy: Ketchum says it’s premature to take a stab at rigorous standards the state expects when children haven’t mastered basic concepts. For children like Antroine, who lack prior school experience, just getting used to classroom structure may take weeks. That puts enormous pressure on teachers to keep the class on task. Although the school’s Head Start program introduces children to some of these concepts, Ketchum has still experienced a disconnect between the skills state education officials recommend children should know at the beginning of kindergarten and those that Head Start graduates have actually mastered when they arrive. Almost two out of three kindergarteners enrolled at Linwood Elementary during the 2018-19 school year attended Head Start, but data collected by the Mississippi Department of Education show kindergarteners here had some of the lowest scores in the state on a test that evaluated how prepared they were for the grade. State Superintendent of Education Carey Wright has expressed concern that even students who have attended Head Start in Mississippi aren’t ready for kindergarten. Two years ago, Wright’s team issued a report analyzing, by type, the care children received the year before kindergarten. Data from the parent surveys suggested the school-readiness levels of children enrolled in Head Start, on average, were comparable to students who were kept at home. Nita Norphlet-Thompson, executive director for the Mississippi Head Start Association, argues that one test can’t encapsulate the true impact of Head Start, which serves some of the most vulnerable children in the state and focuses intensely on their health, development and the needs of their families. Statewide, the thousands of 3- and 4-year-olds reached by Head Start receive five developmental screenings. If an eye exam shows a child needs glasses, Head Start will pay for them. If a family wants to move to better housing, local Head Start offices can offer assistance. For poor families, there are many needs, and that’s true in Vaughan as well. The majority of residents here didn’t attend college and 34 percent live in poverty. Most parents work at catfish farms, natural gas plants, in the auto industry or making farm and construction equipment. The area’s rate of food insecurity is also among the highest in the state, according to a report released last year by Feeding America. For Antroine’s mother, the expectations of what her son needed to know and do in kindergarten came as a surprise. Barton thought he’d be fine at home with his toddler sister and his grandmother, watching educational programming on a public broadcasting channel. “I was thinking from him watching he would be on point by the time he got to kindergarten,” Barton said. As added insurance, she bought him learning games like an electronic learning pad and a floor puzzle with the alphabet and numbers, so he could get exposure to the alphabet and counting past 10. Linwood Elementary teacher’s assistant Mary Williams, who has spent 59 years working in the school district, has lots of experience coaxing shy learners with no prior school experience. Even though he warmed up to her over the course of the school year, Antroine often shied away from speaking up or raising his hand during class. Williams worked closely with Antroine. One morning later in the school year, Williams sat with him and urged him to follow along with his fingers and read aloud from a short book. “Nick has a new kitty. His name is Mittens,’’ Antroine said softly. Williams knew the reason why Antroine seemed to respond so well to her. “Who do I remind you of?” she asked. Throughout the year, kindergarten teacher Ketchum sent progress reports home with Antroine. Barton would check his backpack for notes and squeeze in time to help him with homework, before heading to her overnight job. Progress finally came, after months of Williams’ warm encouragement, Ketchum’s detailed planning, and Barton’s time working with her son at home. With one month left in the school year, Antroine had not only progressed — he made honor roll. Once, Antroine urged his mother to look up at the sky in their rural town, which gives way to the rolling hills of the Mississippi Delta, and told her about a cloud called a scud that exhaled into a tattered funnel. Antroine saw it as an omen and warned his mother that a tornado might be coming. He told Barton his dream of becoming a storm chaser. At Linwood and in many other classrooms across the state, a teacher’s sheer will and her tireless efforts may determine whether students like Antroine who lack access to valuable preschool opportunities will progress — or stay back. Ketchum administers quizzes with a software program that helps her closely track student progress. The reports highlight students’ strengths and weaknesses; she uses her planning period to design learning centers to address their problem areas. By last spring, Ketchum’s class had come a long way. And Ketchum’s students improved by an average of almost 300 points on their second — and final — kindergarten test of the year. They surpassed the benchmark score of 680 on the end-of-the-year exam that gauges progress by almost 50 points. Ketchum wonders how much higher her students could score if they started the school year more prepared. She’d be able to introduce them to first-grade skills, like writing paragraphs, by the second semester to better prepare them for the next set of skills they’re expected to learn. 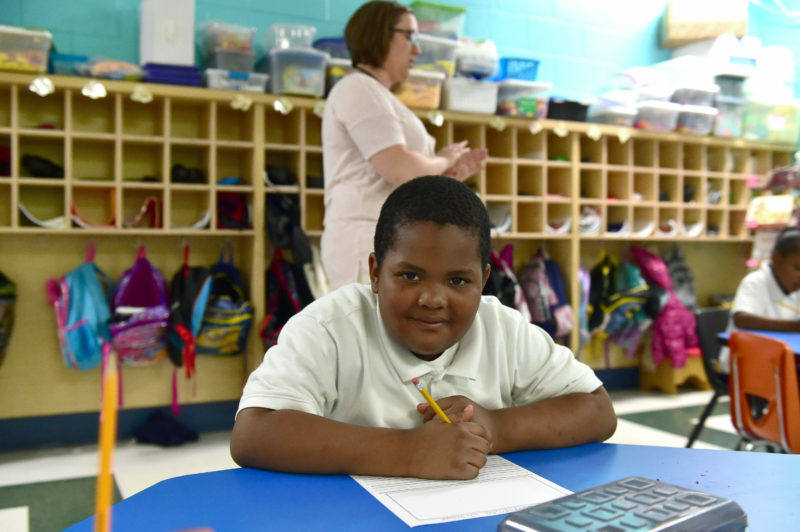 By year’s end, Antroine had earned a promotion to first grade, where he’s now thriving. Barton has learned from her experience seeing Antroine start kindergarten behind. “I understand now that they want kids to be on a more advanced level,’’ Barton said. Rather than keep her 4-year-old daughter, Morgan, at home, Barton wants her to become familiar with a school setting and hopefully pick up more academic skills. Morgan is now enrolled in Head Start. 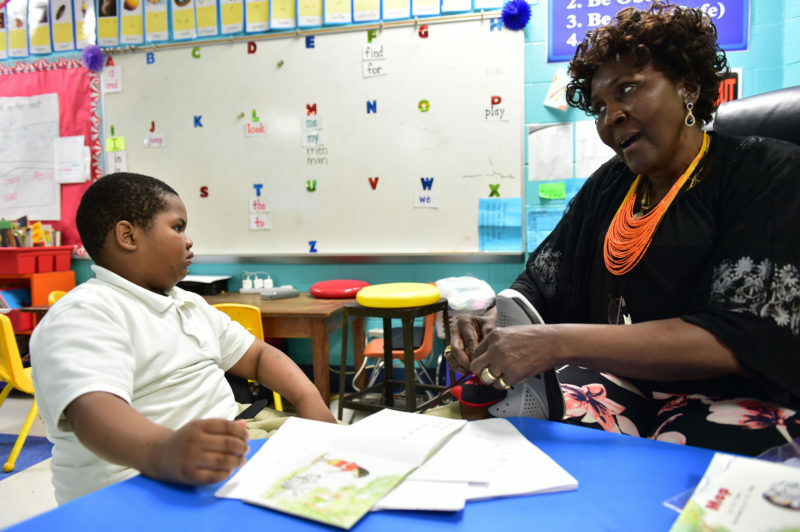 This story about mississippi pre k was produced by The Hechinger Report, a nonprofit, independent news organization focused on inequality and innovation in education, in partnership with the Clarion Ledger. Sign up for the Hechinger newsletter.